Ranee Lee, a Brooklyn native transplanted in Canada, has written a show honoring the divas who have influenced her the most in her career as a jazz diva herself. Her seventh album for the Justin Time label is a capsulized version of this review and features songs that were sung by Josephine Baker, Billie Holiday, Pearl Bailey, Dinah Washington, Sarah Vaughan and Ella Fitzgerald. Lee in no way apes the renditions by these great singers. She puts her own special stamp on each song on the play list. Given her long and distinguished membership in the jazz/pop vocal community, how could it be otherwise. Her position as one of the preeminent jazz vocal song stylists is solidified by the way she does such classics as "J'ai Deux Amours" that helped make Josephine Baker the toast of Europe. One also hears a nod to the pathos in Edith Piaf's here. Billie Holiday's "Fine and Mellow" is not only distinguished by Lee's singing, but by the wailing trombone of Muhammad Abdul Al-Khabyyr. Perdido captures the one of a kind swing scatting of Sarah Vaughan. Pearl Bailey's ability to mix stand up comedy with a song is recalled with "What Happened to the Hair on the Head of the Man I Love?". "Yesterday When I Was Young" often a paean to regretful sentimentality for past sins of omission and commission, in Lee's hands is "in your face I did it my way" pride. A telling coda to an album saying "thanks" to those she listened to over the years as she went down her own road. 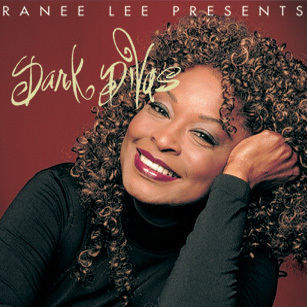 After listening to this album one wishes that Ranee Lee's one woman show were playing down the street. Highly recommended.